Aphra Ellen's creative abilities in a variety of other mediums such as painting and sculpture enables ideas to spark that will ultimately be channelled through her contemporary jewellery designs. Inspired by organic forms and unique shapes, she is drawn by the unpredictability of nature as well as the fascination of macro-photography and observing objects on a cellular level. 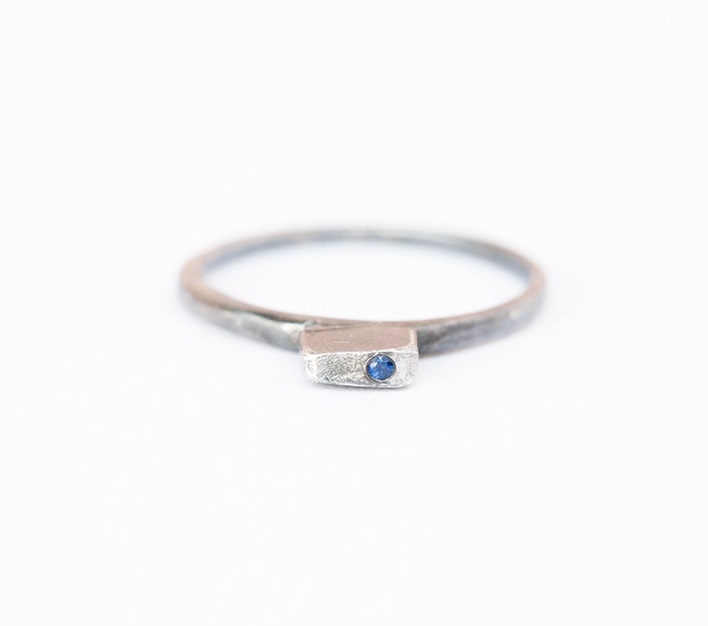 She finds irregularity and imperfection far more appealing and versatile, emphasising on the character and story of the piece as opposed to the conventional beauty of jewellery. By focusing on the concept of jewellery as wearable art, it allows her to broaden the playfulness and intrigue of jewellery design.